Learn to start and operate your own HonorSnacks business. Learn from us, we have a combined 50 years of experience. Why Snacks on the Honor System? HonorSnacks is designed to service those businesses with less than 50 employees. Large, glass vending machines cost thousands of dollars and can not be supported by a small business. Many of these business do not have a vending service. HonorSnacks provide businesses with 100 items and approximately 35 different choices replaced regularly to ensure freshness. The benefits of HonorSnacks are low capital outlay for start-up, no more machines to break down, no late night and weekend service calls, no loss of product due to machine malfunction and no expensive repairs! The cash flow is tremendous! It comes fast and requires careful counting of your daily collections. Our business was truly a family operation. My parents, my wife and my children. Yes, the kids helped count coin and sample inventory. 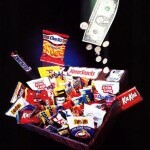 Mike Maddock has been in the HonorSnacks and vending business for over 30 years. He has probably forgotten more than most people will ever know about this industry. Join Mike as he talks briefly about his beginning in this business and enjoy his insights on where he believes the market will take us over the next decade and beyond. CLAYTON, Mo. — As the first crowd of customers filed into Panera’s nonprofit restaurant here, only the honor system kept them from taking all the food they wanted for free. Ronald Shaich, Panera’s chairman, admitted as he watched them line up that he had no idea if his experiment would work. The idea for Panera’s first nonprofit restaurant was to open an eatery where people paid what they could. The richer could pay full price — or extra. The poorer could get a cheap or even free meal. A month later, the verdict is in: It turns out people are basically good. Here we are at the beginning of a new year. It might be time to look for some new employees as you expand your business or replace others. Here are some tips to help you out. #1 Always know what questions you can ask your candidates. Make sure your application is legally sound. Do your research. For example you can not ask your candidates about their religion. #2 Have a clear and concise job description. List the job title, duties and immediate supervisor. List any qualifications needed (example: valid driver’s license). Always list “Other duties as assigned” at the end of the job duties. #3 Get the best candidate by word of mouth, temporary agency, recruiter or running an internet ad as well as a newspaper ad. #4 Screening candidates. Review resumes and applications carefully. One key factor in this business is having a valid driver’s license. Depending on your insurance company, you may have to run their driving record prior to hiring to make sure they are insurable. Make sure your applicants know this! #5 Set up appointments. We recommend you set up 3-4 people for every 15 minute time slot. It may seem like you are overbooking but people cancel for a variety of reasons and having a room full of applicants creates a bit of competition. #6 Interviews. Have a set of questions you will ask all candidates. This will make it easier to compare them later on. Use open ended questions to get the candidate’s attitude on work ethic, customer service and reliability. Don’t be afraid to ask them, “Please expand on that or What do you mean specifically?” They will be handling your customers so you need accurate information. (a list of questions will be provided in a later post). If you have a partner or manager have them conduct an interview also. #7 Background Checks. Make sure your candidate can be insured by your insurance company. Your agent will be able to tell you how to do this. Every January we are faced with that five letter word….DIETS! Yes, our customers have decided to go on a diet and lose weight. Therefore, they must discontinue our service in order to accomplish their goal. We know that the snack tray is not going to make or break their diet. So what do we do? Meet with your staff and have a plan. Role play these situations. The more comfortable you are the better! Customer(C): Joe, we need you to remove the snack tray because we are all going on the diets. C: Well, Joe, I just think we need to remove any temptation all togther. J: I understand, Customer. It’s that this is how I make my living. If I lose you as a customer then I have a smaller paycheck. I really want to keep you as a customer and try to help you with your diet goal. What can we do to work together? Can you give me a chance? C: Ok… that would be fine. Now, that is the ideal situation. Sometimes it doesn’t go as planned. First, you should have a relationship with that customer to start with. Second, you may have to ask a few times. You do want them to understand this is how you make a living and it’s important to keep customers. You may want to suggest moving the tray so that this customer is not tempted. Chances are the person asking is the only one on a diet. You may want to motivate your staff by holding a contest. You don’t want it to motivate in a negative manner. Post the current number of customers for each route service person. Post that number each week and whoever has the most number of customers wins a prize! This is a great time to encourage your RSP to get referrals to get new customers. Building relationships with your staff and customers is the key to keeping them. Hold 15 minute meetings weekly. Be positive and focused on the accomplishments of each day. Remember, you are in the service business. Really? Yes, Hugs and Kisses for Christmas. I know, it’s really close to the big day but let me tell you what we do each year for Christmas. 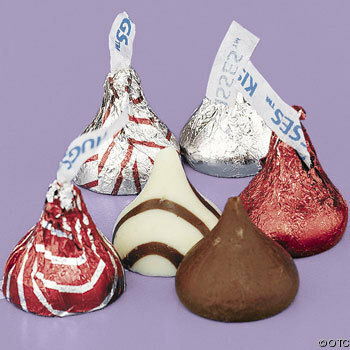 First, we contacted our Hershey rep and purchased “Hershey Hugs and Kisses” in bulk. Then we introduced the idea to our RSPs in our weekly meeting. When the RSP goes into an account…they ask the customer if they want some Hugs and Kisses for Christmas. Of course, the customer usually gets some weird look on their face and laugh. Then, we put a few candies on their desk. It’s fun and a great way to build relationships. Some of our long time customers have started to ask for the hugs and kisses. Have fun with this! Customers want to feel important. They want us to be sincere and have integrity. They want us to be honest and trustworthy. They want our product to be pleasing to the eye. -give the customer a warm sincere hello with a smile. –anticipate the customer’s complaint and head it off with a sincere comment. take the offensive with kindness. -take the blame for the customer’s situation and empathize with them for their problem on behalf of your organization. 1. Greet as many people as possible on each trip and learn their names. Use names always. 2. Provide totally custom menu’s in your trays. If they want all chocolate, bring it . If they are on diets, you can add those items also. Do your best to accomadate their requests. 3. Measure your customer service by soliciting their opinions. Ask them when you see them, ask them to call or leave you a note. Make sure you get back to them and to thank them for their input! 4. Survey your customer’s tray every time you service them. See what isn’t selling and replace it with what is selling. Again, this is a great time to get their input. If there is a new item, tell them about it. Set it up in the tray so they can see it. 5. Always respond to customer complaints. Refund their money if necessary or replace the product. Fix the situation now. You do not want to lose a customer because you can’t or won’t fix it. It cost up to 6x more to get a new customer than to keep it an old one. Did you know that when a customer complains about something, you have an even bigger problem? Studies done in the past show that only 1 in 27customers who has a problem with you or your service will complain. 26 will tell from 8-15 people each, but they won’t tell you. That means a minimum of 146 people will know about the problem someone had with your company, but you won’t! Let your customers know you care. Encourage them to tell you about any problems and when they do reward them. Yes, reward them. Give them a free snack or drink…be creative… do something that counts! The key is to let them now you care and solve the problem immediately. Your personality will become magnetic and customers will look forward to seeing you. When this happens, your job is no longer a task and everyone benefits! Who is the can-do person? Is it you? Is is someone you work with? Maybe, the can-do person is you. Have you always wanted to be your own boss? Do you have desire to take charge? Where you the kid who had his own lawn-mowing service or the girl who was the babysitter in demand? Then, you are probably a can-do person. One of the things I do well is run a business. I am good at teaching people what to do and how to do it. I know how to delegate; I am a leader. A can-do person is a leader who is willing to work hard to succeed. A can-do person never stops learning. Once you stop, it is so hard to catch up. A can-do person wants to mentor to others. Look at all that has changed in the last 20 years? Look at the innovation and technology we have today! Wow…there are some can-do people behind all those gadgets we enjoy! Years ago, I used to hire “route drivers.” You know, the ones who just drove a van around and delivered a product. After, a few years and many lessons later, I changed that to “customer service representative.” I did that because I expected more from my employees than some guydelivering candy. I did that because I wanted my employees to expect more of themselves. If you give them something to shoot for and they fall short, well, they didn’t fall off, just short. They get back up and try again. I trained my employees to exemplify good character, to be responsible and to treat customers properly. HonorSnacks succeeds because we provide training in the art of customer service. We can teach you how to create that trust between you and your customer so that honesty will exist. You will have a relationship with your customer and they will pay because they trust you. They want to “do right” by you. As your business grows, the relationship you create with your employees will then be passed on to your customers. It’s what you expect, and you will get it. How does Honesty work in your business? You become a student of people. Invest time in training your employees and knowing your customer. Each week, meet with your employees to go over their job description. Make sure they understand their duties. Role-playing is a great tool in teaching them how to handle customers. As you get to know their strengths, compliment them. Ask them to hold a meeting or give examples to fellow employees. If you continue to build each other up and raise your expectations, it will work!